Dr. Nandi was born in Alexandria, Virginia and grew up in Los Angeles. At age 12, through the Early Entrance Program, he attended California State University at Los Angeles where he double majored in biology and biochemistry. He attended the University of California, Irvine College of Medicine at age 16. Dr. Nandi did his Internship in general surgery at the Cleveland Clinic Foundation and his general surgery residency at Akron City Hospital in Ohio. He completed his colon and rectal surgery fellowship at Ohio State University/ Grant Medical Center in Columbus, OH in 2003 and moved to Denver. He has been a member of SurgOne, P.C. since 2003, practicing specifically colon and rectal surgery. 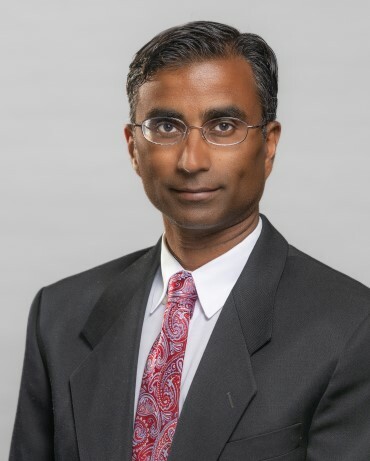 His professional interests include all aspects of colon and rectal surgery including benign anorectal disease, colorectal cancer, inflammatory bowel disease, colonoscopy, and laparoscopic colon surgery. He has been an active member of the Chron's Colitis Foundation since 2005. He has been honored as a 5280 top doctor 8 years in a row for his work at Swedish Medical Center, Porter Adventist Hospital, and Sky Ridge Medical Center. Dr. Nandi married his beautiful wife Aerie in 2007. They have 4 children, Noah age 7, Asha age 5, Colin age 3, and Krish who is 10 months old. His greatest joy in life is spending time with his family and getting home as soon as possible to see his kids. When he's not being physician or father, Dr. Nandi enjoys hiking, alternative rock and 80's new wave concerts, movies, and watching his favorite sports teams, the Raiders and Lakers. California State University at L.A., Early Entrance Program, B.S. Biology and B.S.